It is 9:30 in the morning on July 6, 2018 and the temperature is already nearing 40 degrees centigrade. Neither the clouds nor the wind provide any respite from the blistering heat. Scores of blue-shirted policemen stand guard at four consecutive steel barriers on a road that leads to Islamabad’s federal judicial complex in the city’s G-11 sector. The area is off limits to the public under Section 144 of the Code of Criminal Procedure that prohibits the assembly of four or more people. Half a dozen supporters of the Pakistan Muslim League-Nawaz (PMLN) stand close to the barriers, raising slogans rather unconvincingly. Inside the judicial complex, around one hundred journalists take refuge in the building’s shrinking shadow. Every now and then a small group from among them goes to a closed door that leads to the courtrooms to unsuccessfully negotiate a way in. 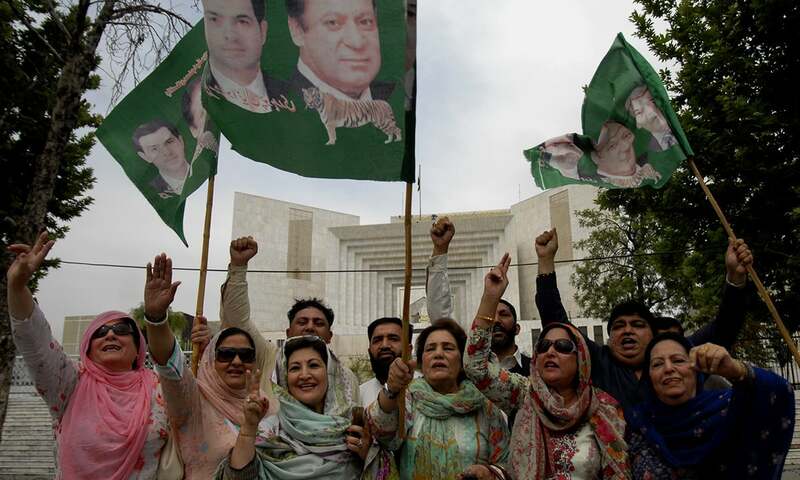 Inside, a verdict is being finalised in an accountability case involving ousted prime minister Nawaz Sharif, his daughter Maryam Nawaz and son-in-law Captain Muhammad Safdar, among others. They are accused of acquiring a set of four apartments in London through suspect money. Syed Asif Saeed Kirmani, a PMLN senator, and Tariq Fazal Chaudhry, a former federal minister of the same party, are also among those queued outside the door. As political secretary to Nawaz Sharif, Kirmani would, until recently, have a say in deciding who could get in and who could not. Today, he joins the ranks of those waiting to be let in. 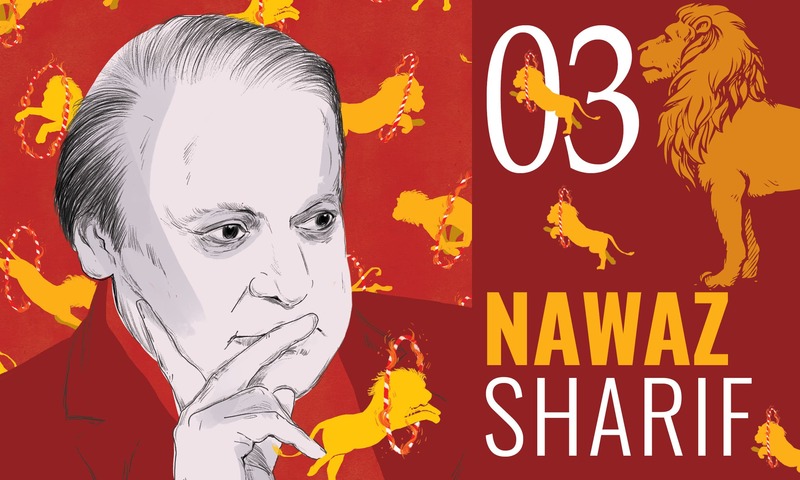 At 10:00 am, the door opens and a group of people topples out to announce that Khawaja Haris, the lead defence lawyer, has submitted an application seeking a postponement in the verdict’s announcement for a week so that his client, Nawaz Sharif, can hear it in person. An hour later, Muhammad Bashir, the accountability court judge hearing the case, gives his ruling on the application: “rejected”. The verdict, that was originally to be announced at 12:30 pm, is delayed to 2:30 pm, then to 3:30 pm, and then again to 4:30 pm. Some among the two dozen paramilitary rangers posted in the complex show signs of weariness, shuffling their feet and lowering the barrels of their guns. The journalists receive snippets of news from those on the inside through a bathroom window left ajar. Various humorous interpretations are doing the rounds about the delay: these range from politically incorrect to judicially contemptuous. That Nawaz Sharif will be found guilty seems to be a foregone conclusion; what everyone is waiting for is the extent of the punishment. Nawaz Sharif is well acquainted with the red-brick building of the Federal Judicial Complex. On 78 mornings between September 13, 2017 and July 6, 2018, he has driven through its gates in his black luxury vehicle — its bonnet and roof always covered in rose petals thrown with perfect aim by a dozen or so of his supporters at a checkpoint outside the complex. He always arrived on time — sometimes even earlier than he was supposed to. Security personnel snapped into vigilance before his vehicle came into view and a ring of bodyguards saw him, Maryam and Safdar up a few steps to the complex’s door through a scrum of PMLN members and the press. Courtroom No 1 inside the complex does not have any of the pomp and decorum of Courtroom No 1 at the Supreme Court. The small rectangular room can fit about 40 people on its benches and chairs, arranged on either side of an aisle running down the middle. Nawaz Sharif and Maryam would always occupy two chairs in the front row. 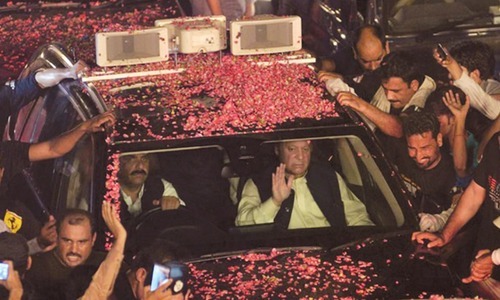 On a day when the duo had to make an appearance, it was common to see many senior PMLN leaders such as Pervez Rashid, Daniyal Aziz, Marriyum Aurangzeb and Raja Zafarul Haq, to name a few. Some of them would arrive before Nawaz Sharif, waiting for him on the steps; others shuffled in and out of the courtroom throughout the proceedings. Sometimes Nawaz Sharif read a newspaper while waiting for the judge to arrive while Maryam mumbled prayers, clicking at her pink digital tasbeeh — an act copied dutifully by her namesake and sidekick, Marriyum Aurangzeb. Every now and then someone came and shook Nawaz Sharif’s hand, uttering vows of support; Maryam sometimes consulted her aides on a legal matter or the latest Twitter trend. Safdar, although a respondent in the case, looked most uninterested in the trial, spending his time chatting away in the back row or outside the courtroom. 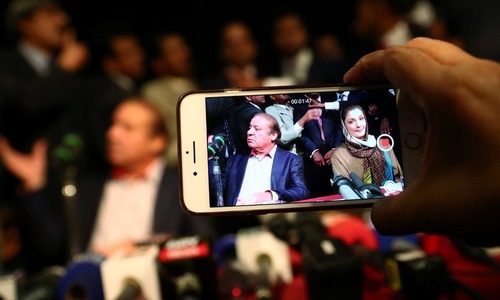 A few steps ahead of where Nawaz Sharif and Maryam sat, their legal team led by Haris and lawyers belonging to the National Accountability Bureau (NAB) would be huddled in front of the judge’s high table. Haris would be joined by Maryam’s counsel, Amjad Pervez, who is known for defending the rich and the famous in cases involving white collar crimes. His clients have included Farooq Sattar, a senior leader of the Muttahida Qaumi Movement (MQM), and Chaudhry Moonis Elahi, son of former Punjab chief minister Chaudhry Pervaiz Elahi — now speaker of the Punjab Assembly. The NAB prosecution team would be led by Sardar Muzaffar Abbasi, who has been with the bureau since 2014 and has dealt with corruption cases involving former Sindh information minister Sharjeel Memon and former prime minister Raja Pervaiz Ashraf. Presiding over all this would be a bespectacled Bashir, noticeable only because of his place on a green chair that seemed to be floating a foot above the rest of the room. Most of the time, he spoke inaudibly and looked rather bemused. He would occasionally skim through documents presented to him and allowed the trial to unfold without exerting much control over it. The judge generally maintained an affable demeanour. Only rarely would he be rattled: like when Abbasi loudly and relentlessly interrupted Amjad Pervez’s cross examination of a witness. Bashir rose from his chair, declaring he could not continue working amid such undisciplined behaviour, and stormed out of the courtroom. A senior accountability judge, Bashir has also heard cases that involved former president Asif Ali Zardari. With twice as many corruption references filed against him as Nawaz Sharif is facing now, Zardari was acquitted in all but one of them by Bashir on November 24, 2015 accepting his plea under Section 265-K of the Code of Criminal Procedure: no sufficient evidence against the accused. Nawaz Sharif and Maryam hear the verdict in the very apartments in London’s posh Mayfair neighbourhood that they have been punished for. A little later, they are all set to address a press conference at the same venue. As they sit on a lounge sofa in a large room with fancy furnishing, their loyalists and servants mill about. A bevy of mostly Pakistani journalists working for various news organisations back home listen intently. Safdar hears the verdict in his native district, Mansehra, where he is running his poll campaign for the general elections scheduled for July 25. He successfully dodges the police teams that come to arrest him and resurfaces two days later in Rawalpindi at the head of a sizeable crowd of supporters protesting his conviction. After playing hide and seek with the authorities for some time, he is arrested and shifted to Adiala Jail in the same city. A week after the verdict is announced, Nawaz Sharif and Maryam fly back to Lahore via Abu Dhabi in the company of a large media contingent consisting of senior reporters, talk-show hosts and columnists. 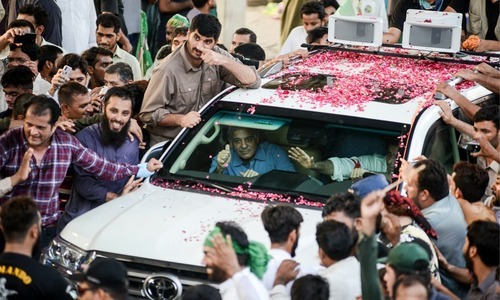 Shehbaz Sharif, former chief minister of Punjab, has rallied supporters in Lahore to receive his elder brother and niece at the airport. The government has other plans. It arrests many PMLN members in Lahore and some nearby cities and towns and deploys large number of security personnel on the roads leading to the airport. It also makes arrangements to arrest Nawaz Sharif and Maryam as soon as they land and whisk them away to Islamabad in another plane. In the end, Shehbaz Sharif remains stuck for hours in central Lahore, at the head of a rather small crowd, while Nawaz Sharif and Maryam join Safdar in Adiala Jail. Not without a bit of initial confusion, though, on whether they will be imprisoned inside a special prison at Attock Fort, a police rest house in Sihala just outside Islamabad, or the jail. Haris, meanwhile, files an appeal in the Islamabad High Court, challenging the verdict and asking for the sentence to be suspended until the appeal is decided. The hearings get stalled because of the general elections but he manages to secure some relief. The same judge, Muhammad Bashir, who has sentenced Nawaz Sharif will not hear two other cases against him. Since witnesses and evidence in these cases are remarkably similar to those in the Avenfield apartments case, Haris argues, it is not fair for judge Bashir to hear them because his mind is already made up about Nawaz Sharif’s guilt. Taking hit after hit in the background is Nawaz Sharif’s party — PMLN. It loses many stalwarts to legal proceedings and judicial punishments: former finance minister Ishaq Dar prolongs his stay in England indefinitely to avoid appearing in a money laundering case that also involves Nawaz Sharif and his family; former federal ministers Daniyal Aziz and Talal Chaudhry are convicted for committing contempt of court; former parliamentarian Hanif Abbasi is imprisoned for life for dealing in a banned substance, ephedrine; former Punjab minister Raja Qamarul Islam is arrested for corruption. Even former foreign minister Khawaja Muhammad Asif and former prime minister Shahid Khaqan Abbasi are initially barred from running in elections but are allowed to contest on appeal. These developments, of course, are in addition to scores of former parliamentarians associated with PMLN defecting to Imran Khan’s Pakistan Tehreek-e-Insaf (PTI). Come election day and the latter party beats the former by a big margin. A sympathy vote for the incarcerated former prime minister does not materialise. His party bags 81 seats – compared to PTI’s 151 seats – in the final tally for the National Assembly. Even in Punjab, his stronghold for decades, PMLN secures 159 seats – against PTI’s 175 seats – in the ultimate count for the Punjab Assembly. Many PMLN heavyweights – Shahid Khaqan Abbasi, Khawaja Saad Rafique, Abid Sher Ali and Talal Chaudhry to name a few – suffer defeats. One wonders how any of this can even happen. How does a former prime minister with a comfortable majority in the National Assembly till last July as the head of the country’s largest political party with deep roots in the most populous province, find himself in a jail cell while his party is dismembered and beaten? Many lay the blame on sore relations between Nawaz Sharif and the military establishment, alleging that his downfall has been engineered from start to finish. The military, obviously, denies that it has any role in his ouster and imprisonment. Not that PMLN has a stellar track record of maintaining cordial relations with the armed forces, these ties have been especially strained during General Qamar Javed Bajwa’s tenure as chief of army staff that started in December 2016. On occasions, some commentators have rung alarm bells for the end of democracy, though they have been wrong. But even with an efficient public relations machine at its disposal and multiple statements to the contrary, the military has struggled to remove the perception of its intervention in the civilian domain — including in Nawaz Sharif’s trial, conviction and punishment. This, however, is just one side of the story. When papers leaked from a Panama-based law firm, Mossack Fonseca & Co Limited, became public on April 3, 2016, Nawaz Sharif may not have realised that this will overturn his political fortunes. The leaks, comprising 11.5 million documents, made startling revelations about assets hidden through 214,488 offshore companies by the wealthy and the mighty from across the world, including Pakistan. Though Panama Papers never mentioned Nawaz Sharif personally, they showed three of his children as owners and/or beneficiaries of several companies with assets in many parts of the globe. Most importantly, the documents linked his family apartments in Avenfield – a subject of controversy since 1993 – to two offshore companies, Nescoll and Nielsen, owned by his sons Hussain Nawaz and Hassan Nawaz. Their sister Maryam was revealed to be linked to the companies too. As per Pakistani law, it is not illegal for a Pakistani to set up an offshore company. The problem is that such companies are often used for hiding ill-gotten money and concealing illicit business operations. They help their owners stow away their unearned wealth in complete secrecy in tax havens, such as the British Virgin Islands and Bahamas, away from the prying eyes of Pakistani authorities. Immediately after the leaks, a debate raged in Parliament over the Panama Papers. Leader of the Opposition in the National Assembly, Khursheed Shah, suggested that a parliamentary committee be formed to probe the matter but the government never accepted the opposition-proposed terms of reference. Ministers in his government and his party’s rank and file believed that the Panama Papers were a storm in a teacup that would blow away sooner rather than later. They frustrated all attempts to investigate them through the Parliament and other federal agencies before the courts got involved. It was Nawaz Sharif who first went to court. He wrote a letter to the Supreme Court, asking for the setting up of a judicial commission to probe the Panama Papers. Perhaps in an effort to stay away from the charged and divided politics of the day, the chief justice of Pakistan declined the request, citing legal shortcomings that would make such a commission ineffective. The court also refused to entertain petitions by several opposition leaders, including Imran Khan, to initiate suo motu proceedings on the matter. For Imran Khan, all this was a Godsend — the beginning of a legal and political battle that he would pursue through a maze of evidence so dense that some of the sharpest legal minds have been left confounded by it. After he threatened to jam Islamabad through a sit-in – just as he had done in 2014 – the Supreme Court finally accepted his petition on the Panama Papers for a hearing in late October 2016. After six months of proceedings, two of the five judges hearing the case disqualified Nawaz Sharif as the prime minister of Pakistan. The other three called for the formation of a joint investigation team (JIT) to probe the matter further. The six-member JIT was to be headed by Wajid Zia, additional director general of the Federal Investigation Agency (FIA), and would include, for no discernable reason, one member each from two intelligence agencies — the Military Intelligence (MI) and the Inter-Services Intelligence (ISI). Nawaz Sharif’s supporters were ecstatic – at least initially – thinking their leader had dodged the bullet. Only a few months later would they realise that they had distributed sweets over the JIT’s formation way too prematurely. With full resources of the state at its disposal, the JIT would assemble at the federal judicial academy in Islamabad to accomplish the task assigned to it within its fixed tenure of two months. It drew up questionnaires and sent them to the accused; it sent letters for mutual legal assistance to the British Virgin Islands and other countries; and made requests through diplomatic channels to Hamad bin Jassim bin Jaber al-Thani, former prime minister of Qatar, to verify the contents of a letter he had written about the money his father had reportedly received from Nawaz Sharif’s father as investment back in the 1980s. Many members of the Sharif family, including Hassan, Hussain, Maryam and Safdar as well as Nawaz Sharif and Shehbaz Sharif and their cousin Tariq Shafi, were interrogated by the JIT for hours across numerous sessions. A leaked photograph of Hussain waiting on a solitary chair for his appearance before the JIT created quite a stir in the media — symbolising, in the eyes of Nawaz Sharif’s supporters, how the members of his family were ill-treated by the JIT. The investigative team also sought help from the Securities and Exchange Commission of Pakistan (SECP), National Accountability Bureau (NAB), the Intelligence Bureau (IB) and the FIA. The then SECP chief Zafar Hijazi was later arrested for trying to obstruct the collection of evidence regarding businesses owned by the Sharif family. He would be subsequently indicted for tampering records pertaining to those businesses. Albeit belatedly, a realisation dawned upon the government and PMLN that the deeper JIT probed, the harder it would be for Nawaz Sharif to shake off the political and judicial consequences of its investigations and findings. His loyalists started portraying the investigating team more as his adversary than a neutral entity. At one stage, the prime minister’s secretariat claimed the JIT had been tapping phones and monitoring movements of witnesses. Amid this acrimony, the JIT finally submitted its damning findings – a few days after the expiry of the deadline originally given to it – in a 10-volume report. Despite the fact that its mysterious Volume X is still being kept under wraps for reasons unknown, the report has been hailed by many in judicial circles as an example of investigative excellence. For the JIT’s detractors, though, it is seen as a hatchet job. After perusing the report, the Supreme Court declared Nawaz Sharif as dishonest and untruthful as per Article 62 and Article 63 of the Constitution. He was disqualified as a parliamentarian as well as the prime minister for not disclosing in his election nomination papers that he possessed a work permit in the United Arab Emirates (UAE), which he had obtained as the employee of a company, Capital FZE, owned by his son Hassan. The constitutional case against him now over, the Supreme Court ordered that he be tried under criminal law for indulging in corruption and possessing assets beyond his known means of income. 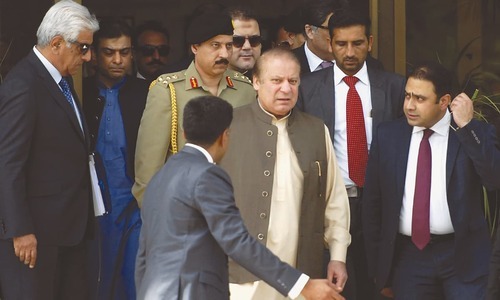 On September 8, 2017, NAB filed three references against Nawaz Sharif and his children in an Islamabad-based accountability court presided over by judge Bashir. One of the cases concerns Al-Azizia Steel Mills, set up by Nawaz Sharif’s father Muhammad Sharif in 2001 in Saudi Arabia and managed by Hussain. The mill, according to the Sharifs, was partially funded through a loan from the Saudi government which also provided the property that was mortgaged to obtain the loan. The NAB prosecutors contend that there are no documents or audited accounts to prove where the money came from. The mill, they claim instead, was set up with black money siphoned from Pakistan. This money was then ‘whitened’ through a second company, Hill Metal Establishment, set up by Hussain in Saudi Arabia, which sent around one billion rupees to Nawaz Sharif and Maryam in Pakistan in the form of non-taxable “gifts” between 2010 and 2015. The second reference pertains to a British firm called Flagship Investments. It was formed by Hassan at the tender age of 18 and is one of 10 businesses, which he started in the United Kingdom while he was still a student. These businesses own many costly properties — one of them being One Hyde Park Place, valued at 48 million pound sterling. The third reference covers the Avenfield apartments. The story of these apartments begins in Pakistan — and with Muhammad Sharif. An industrialist who had made his fortunes through a steel melting plant, Ittefaq Foundry, in Lahore’s Kot Lakhpat area, he eventually set up Ittefaq Group of Companies in partnership with his brothers. 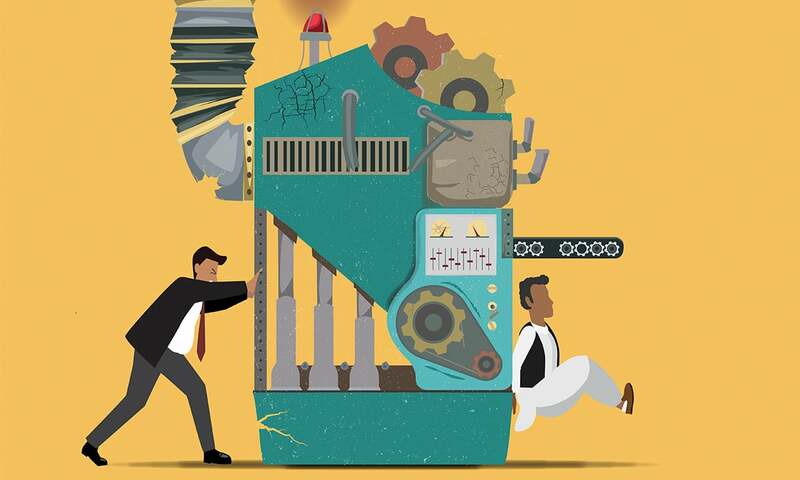 When Zulfikar Ali Bhutto nationalised the foundry in 1972, Muhammad Sharif set his sights elsewhere: to the rapidly developing sheikhdom of UAE. He set up Gulf Steel Mills in Dubai in 1974, with funding from the Bank of Credit and Commerce International (BCCI) and had his trusted nephew, Tariq Shafi, hold a quarter of the shares in the business and run its operations on his behalf. The mill did not do well. By 1978, Muhammad Sharif decided to sell his 75 per cent share to Al-Ahli Steel Mills for a little over 21 million dirhams in order to pay back bank loans he owed. Another two years later, he sold the remaining 25 per cent shares as well to the same buyer for an additional 12 million dirhams. Up until this point, the defence and the prosecution in the Avenfield case find themselves on the same page. Where they differ is how those 12 million dirhams were utilised. The defence story goes something like this: with the bank loan paid off, Muhammad Sharif decided to invest the leftover money with his long-time friends and business partners, al-Thanis, who happen to be the royal family of Qatar. In two letters sent to the Supreme Court during the Panama Papers proceedings, Qatari prince Hamad bin Jassim al-Thani stated that “he was informed that during the year 1980, Mr Mian Muhammad Sharif expressed his desire to invest a certain amount of money in [the] real estate business of Al Thani family in Qatar”. He “understood at that time, that an aggregate sum of 12 million dirhams …was contributed by Mr Mian Sharif, originating from the sale of business in Dubai”. The letters also state that Muhammad Sharif wished during his lifetime that “the beneficiary of his investment and returns in the real estate business is his grandson, Mr Hussain Nawaz Sharif”. The prosecution and JIT, on the other hand, argue there is no record of the money being invested in businesses owned by the al-Thani family. Instead, they point out, Gulf Steel Mills owed 27 million dirhams to BCCI and an additional 8 million dirhams in outstanding bills to various utility providers. Even after 21 million dirhams were paid to the bank following the first sale of shares, the mill still owed another 14 million dirhams to different creditors when the second sale took place. The JIT report states that Tariq Shafi opened an account with BCCI in 1986 which would be possible only if he had cleared all the previous dues. There is no way to double check any of the two versions: BCCI was closed down in 1991 after it was found to be involved in whitening money linked to South American drug cartels and there is no document to show how and when the mill paid its outstanding utility bills — if it paid them at all. The money trail goes quiet here as far as the JIT and the NAB’s prosecutors are concerned. For the defence team, it remains alive in that the proceeds from the money invested with the Qataris are shown to have indirectly paid for the Avenfield apartments — but more on that later. Documents issued by Her Majesty’s Land Registry in the United Kingdom show that Nescoll and Nielsen first purchased the apartments in the mid-1990s. Since the two companies were not registered in the United Kingdom, their owners needed share certificates to prove that they also owned the apartments. For a long time, British law did not require these certificates to have any names on them. Like bearer cheques, whoever was in possession of the certificates was also the owner of the companies and, consequently, of the apartments. The defence claims the property remained in possession of the Qatari royal family between 1993 and 2006. 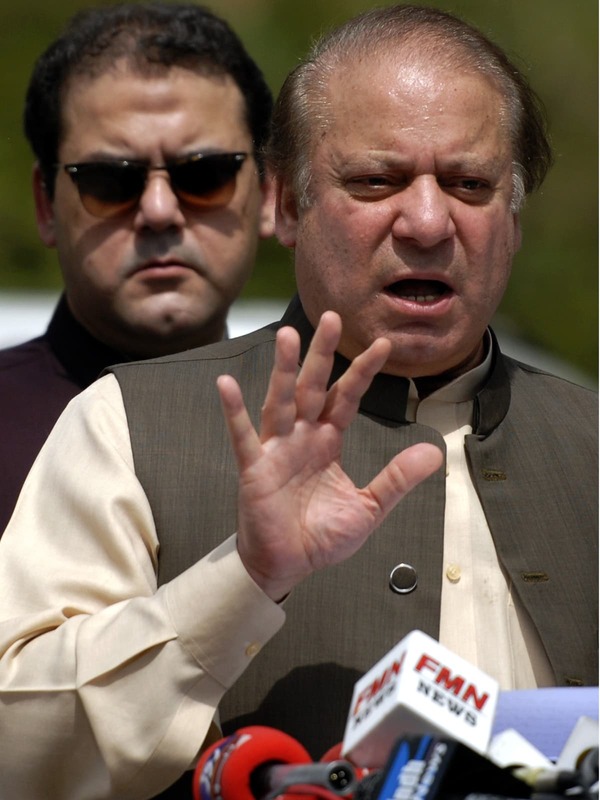 Nawaz Sharif and his family used the apartments during this period by paying rent and maintenance money but they possess no documentary proof of this because of what they call the informal nature of the arrangement between Muhammad Sharif and prince Hamad’s father Sheikh Jassim bin Jabr al-Thani — both now deceased. The letters by Prince Hamad state the same: all transactions between the two families were customarily done in cash. He also claims the share certificates of the offshore companies – as well as the apartments – were handed over to Hussain at the end of 2005 in a final settlement for investments worth approximately 8 million US dollars. Nescoll and Nielsen, in turn, immediately transferred the trusteeship of the property to another offshore company — Minerva Trust & Corporate Services Limited, owned by Maryam. Due to the bearer nature of the share certificates, it is impossible to ascertain the names of the individuals who owned the apartments before their transfer to Hussain unless the authorities that registered Nescoll and Nielsen are willing to reveal them. The legal provision that allowed such anonymity to owners of properties in the United Kingdom was revoked in 2006, exactly the time when Hussain claims he came to own the apartments. The prosecution sought to disassociate the Qatari royal family from the Avenfield apartments through evidence collected by the JIT pertaining to a 1999 case in the London High Court over a loan default by the Sharif-owned Hudaibiya Paper Mills. The loan was obtained from an investment firm, Al-Towfeek Investment Fund, in 1995. When the Sharifs failed to return it, British authorities issued cautions against the four Avenfield apartments — something that would only happen if the apartments had been used as collateral to obtain the loan. If the cautions were ultimately lifted, the JIT argued, it meant that the loan was paid back. The Sharifs claim that the loan, too, was paid by the al-Thani family but the JIT dismissed this, arguing that the royal family had no connection with the Hudaibiya Paper Mills. The complex nature of the case was further confounded by a small difference between two sets of documents issued by Her Majesty’s Land Registry regarding the ownership of the apartments. The documents obtained from the registry and submitted by the defence at the Supreme Court during the hearings of the Panama Papers case state that Nescoll acquired Apartment 17 in 1993 and Apartment 17-A in 1996, at 585,000 pound sterling and 245,000 pound sterling, respectively; and Nielsen bought apartments 16 and 16-A in 1995 for 1,075,000 pound sterling. Similar documents, procured by NAB from the United Kingdom through a mutual legal assistance request and submitted at the accountability court, did confirm the acquisition of the apartments by the two companies. These documents, however, did not mention the property’s prices. The defence lawyers chose not to bring the prices into their arguments because they believed they had already made a case during the Panama Papers hearings that the apartments did not belong to Nawaz Sharif, say sources privy to the case, and stuck to their narrative. The prosecution did not dwell much on the value of the apartments for the same reason: even if it was proven that Nawaz Sharif owned the apartments, it would be relatively easy for his lawyers to prove that he had means to buy the property (that cost 89 million rupees at currency exchange rates at the time of their acquisition), say sources. In the absence of any document that directly linked Nawaz Sharif with the apartments, the prosecution’s case primarily rested on a 2012 letter, included in the leaked Panama Papers. Written by Mossack Fonseca & Co Limited in response to a query by Errol George, Director of the Financial Investigative Agency in the British Virgin Islands, the letter stated that Maryam owned Nescoll and Nielsen. It also said that Mossack Fonseca was “not in receipt of” any details regarding a trustee connected to these firms. The prosecution used this as evidence to claim that Maryam was not a trustee but a beneficial owner of the two companies. In response, she pulled out a 2006 deed between Nescoll/Nielsen and Minerva Services that declared her to be a trustee — Safdar being a signatory to the document. It had an obvious flaw though: the Calibri font used in it was not available for public use before 2007. The deed was declared a forgery by Radley Forensics, a London-based document examination firm, even though Maryam’s lawyers argued that a beta version of the font could be found on the Internet as far back as 2004. The prosecution also told the court about the JIT having contacted a British solicitor, Jeremy Freeman, who had reportedly authenticated the deed. He confirmed that the deed had passed through his office but he had not seen it personally. The JIT concluded from his response that it indicated Freeman’s reluctance to incriminate Hussain, Maryam and himself for committing forgery. Where in all of this, one might ask, does Nawaz Sharif figure? Although the JIT report was peppered with references to Respondent No 1 – that is, Nawaz Sharif – the fact remains that the offshore companies and the apartments have no direct connection to him — at least on paper. The prosecution tried to make an indirect connection: that he gave money to Hussain and Hassan who were both too young when the apartments were first acquired to have money of their own for the acquisition of the property. The JIT report also claimed that his “exclusive use of the apartment makes him the sole beneficiary of the apartments as far as possession is concerned” — a notion that would incriminate even the most unwitting of houseguests. It is evident that the prosecution’s contentions have mostly been based on the JIT report submitted to the Supreme Court during the hearings of the Panama Papers case. The investigative team was essentially formed to assist the apex court in deciding a constitutional case – one that involved a decision on whether Nawaz Sharif was qualified to hold public office in accordance with the Constitution – not to collect evidence for a criminal case to be heard by a trial court. His observation is borne by the fact that NAB did nothing more than make a few additional calls to other countries for mutual legal assistance — and those too only to confirm evidence already brought to light by the JIT. That Wajid Zia, the JIT’s head, was the prosecution’s star witness also points to the absence of any spade work by NAB’s own investigators. Zia appeared in the accountability court multiple times over a month but hardly any new information of note came out of his testimony. Some of what he said in the court, though, still stirred controversy. One example of this was his acknowledgement that the prosecution’s version of the money trail leading to the purchase of the apartments was based on assumptions. Another was his admission that Nawaz Sharif had no direct link with the apartments, that it was extremely difficult to ascertain their real and beneficial owners and that the evidence leading to Nawaz Sharif’s ouster from the office of prime minister was collected from UAE in one day by the JIT’s members belonging to MI and NAB. Perhaps his most important revelation was that Akhtar Riaz Raja – a British solicitor who had corresponded with key witnesses in the United Kingdom on the JIT’s behalf, had brought a forensic expert on board and also authored a commentary on the forensic report – was Zia’s own first cousin. The prosecutors probably failed to collect additional evidence because they were under pressure to allow the case to conclude within a deadline set by the Supreme Court — a rarity for a criminal trial in Pakistan. 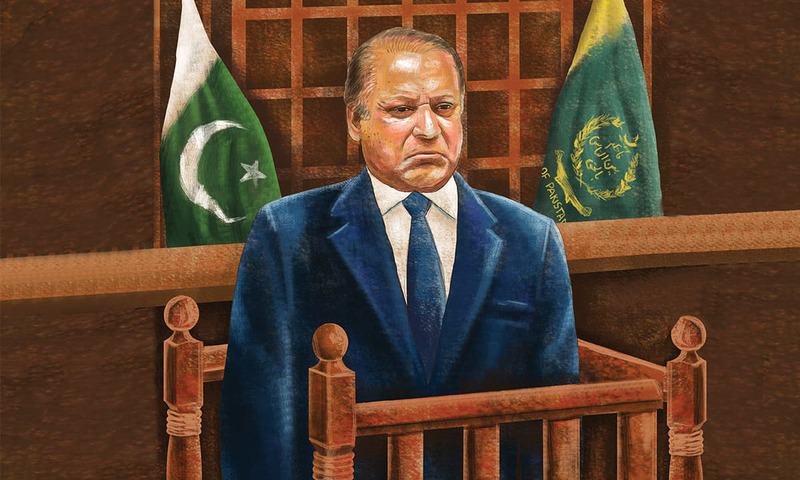 Initially, the apex court wanted proceedings in all three references involving Nawaz Sharif to end by March 7, 2018 — six months after judge Bashir presided over the first hearings in those references. Later, the deadline was extended three times — first by two months and then twice for one month each. Towards the final stages of the trial, the Supreme Court told the lawyers and the judge to conclude the case promptly even if it required working on weekends. Reacting to this order, Haris announced his decision to quit as Nawaz Sharif’s lawyer on June 11, 2018. He said he could not continue working on the case with the Supreme Court “dictating” terms for the trial, but re-joined the defence team within 10 days. It was also perhaps in order to meet the Supreme Court’s deadlines that the accountability court refused, at a very early stage, a request by the defence to club together the hearings for all three references. Haris argued repetitively that due to 60 per cent of witnesses and evidence overlapping, his arguments in one reference would give away most of his defence in others. The request was finally accepted after Nawaz Sharif’s sentencing in the Avenfield case and a new judge assigned to hear the remaining two references — simultaneously to boot. “The entire family: daughter, sons and father are one and the same monolith ... Therefore, accused No. 1 cannot say that he had not provided any money to them to purchase the apartments,” he wrote. 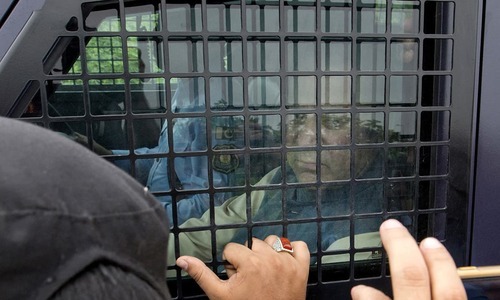 The judge, however, acquitted Nawaz Sharif of charges levied against him under Section 9 (a)(iv) of the NAB Ordinance. This means the judge did not deem him to have misused his public office to make money, but instead convicted him under Section 9 (a)(v) of the same ordinance: possessing assets beyond his known means of income. There are a number of legal precedents in cases involving the latter section in which superior courts have set various parametres for the quality of evidence to prove if someone’s assets exceed his or her income. A 2011 judgment authored by senior Supreme Court judge Asif Saeed Khosa in a corruption case, Ghani-ur-Rehman versus NAB, for instance, says the prosecution must bring on record the sources of income of an accused and establish a nexus between the misuse of public office and the accumulation of assets. Similarly, the Sindh High Court in a 2007 judgment, in Hakim Ali Zardari versus the State, declared that the mere possession of an asset did not constitute the committing of an offence. It also outlined four requisites without which a conviction under Section 9 (a)(v) would not hold. To paraphrase these requisites: establishing the accused as a public office holder at the time of the offence, ascertaining the value of the properties he has amassed, showing his known sources of income and proving that the assets found in his possession are beyond his means. 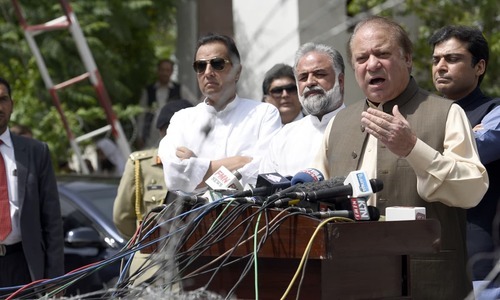 The NAB prosecutors have not fulfilled any of these: they have not ascertained the value of the Avenfield apartments; they have not established that Nawaz Sharif or his children did not have sufficient funds to buy them; they have not proved that Nawaz Sharif misused the public office he held to generate funds to buy the apartments. Another important question, though, precedes a discussion about these requisites: on whose shoulders does the burden of proof fall in cases involving white collar crime? Is it enough for the prosecution to level charges and then ask the defence to prove otherwise — thus, effectively reversing the long-established legal dictum that everyone is innocent until proven guilty? A Lahore High Court judgment issued in June 2015, in Brigadier (R) Imtiaz Ahmad versus the State, declared that it “has been abundantly made clear that disproportionate assets can only be ascertained with reference to the known source of income and the burden to prove this known source of income has been primarily upon prosecution.” The judgment went on to quote a 2001 verdict, issued in Khan Asfandyar Wali versus the Federation of Pakistan, which states “the prosecution has to establish the preliminary facts” before “the onus shifts and the defence is called upon to disprove the presumption of guilt”. According to Ali, the defence in Avenfield case “has put forward a version of events and stuck to it”. It was, he says, “up to the prosecution to bring forward its own narrative, witnesses, documentation, money trail and timeline to disprove the defence’s version so that its case could stand on its own legs”. The prosecution, on the other hand, has relied on “drilling holes in the defence’s argument”. The caveat is that the prosecution only needed to convince a single person: judge Muhammad Bashir. And that it did successfully. Weeks after the verdict is announced, everyone concerned – the defence, the prosecution, journalists, PMLN members – walks into the Islamabad High Court expecting more of the same. Seated on the presiding chairs are two, not one, learned judges: Athar Minallah and Miangul Hassan Aurangzeb. A modest crowd pours in through rather lax security to witness the first hearing of Nawaz Sharif’s plea to suspend his punishment until his appeal against Bashir’s verdict is decided. Abbasi, probably not used to being grilled in courtrooms, fumbles and says NAB has not accepted that part of the judgment. “Then why did you not file an appeal against this?” Minallah questions. Abbasi responds by saying that the conviction has been “independently” handed out over Section 9 (a)(v) anyway. Abbasi wiggles this way and that but fails to come up with a satisfactory answer. The defence team stands back amused, watching the debate unfold. It is mostly Minallah who does the talking but Aurangzeb, too, makes occasional remarks — the two frequently consulting each other in hushed Pashto. The judges go on to question the sentence handed down to Maryam, asking the prosecution to clarify whether she was a dependant of Nawaz Sharif or a benamidar (someone who owns an asset in name only on the behalf of its actual owner). Being a benamidar in itself is not an offence, Minallah points out, even if the trust deed submitted by her is forged. Abbasi, evidently frustrated by this point, tries to argue that the matter is complicated and that the entire case material must be studied to get a deeper understanding of it. Sensing that the judges are unsatisfied with his argument, he hands the floor over to Haris. The executive lounge on the top floor of a five-star hotel in Islamabad has served as an office for Haris for many months in recent times. He frequently works from this opulent room with wooden panelling and plush carpeting until late in the night along with his associates who occupy various tables, working on their laptops. Haris comes from a distinguished Lahori family. His uncle Khawaja Khurshid Anwar was a leading musician in the Pakistani film industry and both his father and grandfather have practised law with acclaim. For close to two decades, he has been handling cases involving Nawaz Sharif, including the one in which he was charged for hijacking a plane carrying General Pervez Musharraf in 1999. Haris also served as advocate general of Punjab a few years ago. With his greasy hair neatly parted sideways and a fitness device tied around his wrist, he has an air of no-nonsense efficiency about him. Not a hair on his head is ever out of place and his walrus moustache is perfectly combed. He stops to give out instructions to an associate. It is past midnight and a waiter standing at a nearby counter is almost dozing off to the lobby music. Haris asks for another cup of tea. He says that he understands the inner workings of the Sharif family well and claims that it is a well-known fact that Nawaz Sharif was never involved in running the family business — especially not during the lifetime of his father Muhammad Sharif who called the shots on all family-related affairs including investments and even pocket money for his grandchildren. Haris then makes a claim that better suits a politician. “The external pressures in this case are known to anyone who has been following it and all one needs to do is connect the dots to understand.” He mentions an “orchestration to which we cannot close our eyes” but concedes that “of course, we would never be able to prove it if we had to”. The drizzle has now become a torrential downpour. Haris rises from his seat and rejoins his associates to continue preparation for the next day’s hearing. Nawaz has survived the test of a lifetime in fiddling with the system through politics for his benefit. Certainly without doubt the Avenfield properties belong to him even though his sons and daughter own them in their names. He has been playing this game all his life. His chances of playing this game of chess and winning have considerably been reduced now. Certainly his children will never be able to play the same game. If only Harris had worked for NAB. That grim looking NS may yet prevail, if the NAB prosecution is rendered a 'Mistrial'. Any new proceedings will give him much more time to prepare, throw in different angles to confuse and mislead the court or find defects in the proceedings to bring the entire case to a halt. I suspect he will get away scot-free and no looted money will ever be recoverd. We already know his plans to retire in the UK. Hence his sons have British Passports, plus hefty investments and properities bough from the money taken from Pakistan allows for comfortable life after all this is over. Most informative article which makes it easier for a layman to understand the inherent shortcomings in the prosecution's arguments and the standards required to convict someone criminally. The more one delves into this case then one has to accept that from general public to highest judiciary were hoodwinked into persecution of Sharif family in particular & PML(N) in general, considering that JIT report is totally dependant on assumptions & innuendos. And of course SC then disqualifies NS on the pretext of obscure interpretation of Income Tax laws for having Akama in UAE. This interpretation is totally contrary in accounting terms where no expert opinion from leading Chartered Accountant/Tax Expert was sought by the SC. Instead it took upon itself to seek guidance from Black Law guide which relates to Corporate accounting rather than personal taxation. To sum it up, it leaves a very bad taste in the mouth. I agree with the writer. It is the most controversial case in the history of Pakistan. Day to day hiring and rushing on the conviction in the court. I think NS is fighting well! Shariff is not only looter but a traitor also. I salute to writer of this article for painstakingly providing details not known to everybody. I want to congratulate the author for the meticulous research undertaken to prepare this comprehensive report, which is simply brilliant. It is thorough, cogent and absolutely non judgmental. A rational analysis like this was much needed to separate the wheat from the chaff, propaganda from reality and evidence. A report free from all bias is too rare in an era of fake news. In the case of bearer shares in the jurisdictions like Panama or BVI, it is almost impossible to trace the actual owner. After going through the entire case, my observation is that NAB or anyone else will be unable to prove the ownership belongs to NS. In this case, NS will be end up a free man sooner or later. Brilliantly researched and well explained, presenting the case without too much of the drama. The lawyers of Respondents work hard. And the Court proceedings were too slow, lenient, the staff, teams, all work badly and non- seriously. Fantastic exposé with lots of information and relevant interviews. Appreciated the way important events have been tied together to form a cogent narrative corroborated by effective storytelling. Keep it up, Danyal! So looks like everything is owned by the two sons. May one ask where are they getting the money to buy these things? It is easy to spin yarns and deliberately speak confusingly -- oh these are not mine, these are my children's - I just go and live in them as a guest. And oh yes, I have no idea how they 'earned' the money to buy these. Ah, I remember, my good family friend - Ameer of Qatar's family gave them this money to buy these properties. Case closed. Ask Ameer of Qatar why would he just give away money to my children to buy these properties. I have no idea! This is the most simple case which has been made complex by the reluctance of |nawaz to tell the truth and give the money trail . Unfortunately greed and nepotism has destroyed a corrupt politician and he will be remembered as a thief in the history. You can fool the nation once but not all the time.